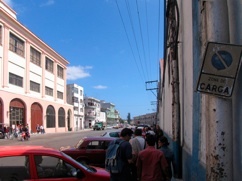 This team’s work focused on the continuity of the spine boulevard- that was agreed upon as a general concept- for the creation of public space along the water edge and got advantage of the derelict industrial facilities located on the piers to propose a whole new grid oriented to the sea with a pedestrian system of squares inspired in the nearby Old Havana system of squares but linked with tree lined avenues and streets like in El Vedado district, also in Havana. 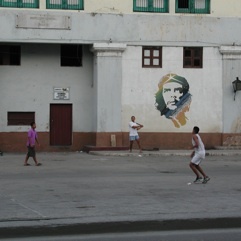 Mixed - use buildings will be located on this grid that gets advantage of its privileged location overlooking most of the bay area, Old Havana and Casablanca. Abundant open space is provided also with the insertion of parks whose green is weaved with the green area proposed to protect the adjacent Luyanó river banks as a buffer zone for recreation and leisure facilities. The Atarés Castle should be converted into a museum and the surrounding green area into a park to be integrated with the whole system of green. 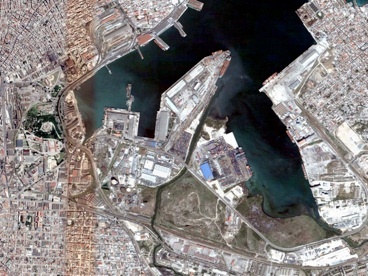 The Atarés Sector was presented by Arch. 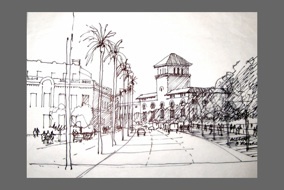 Juan Carlos Toledo, a young Cuban architect currently working at the National Physical Planning Institute. He was a former student of Prof. Arch. Julio César Pérez Hernández and he is now a member of his team. 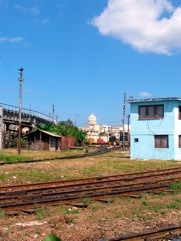 There were also some considerations regarding the conversion of the XIX century Almacenes San José - with a Belgian steel structure - for a cultural and residential use. 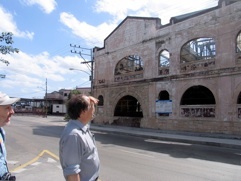 There was a long discussion about the issue of the presence of the National Railroad Station and the enormous and valuable prime real state area that it currently occupies, its potential for transformation and the need of considering the relocation of the railroad yard though keeping the building- originally designed by US architect Kenneth H. Murchison in 1912- and some facilities. 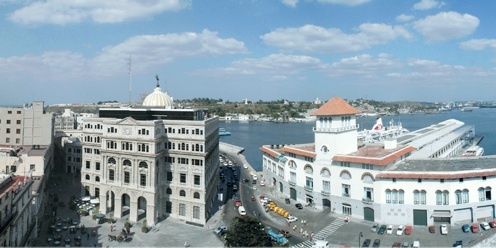 There was also common ground on the opening of the ground floor arcades of the elongated façade of the Customs House building to provide views to the water. 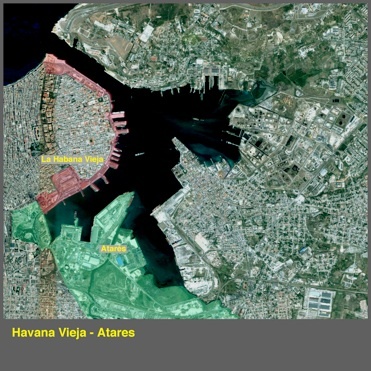 They also agreed upon the planting of trees on both sides of the Harbour Avenue, reaching the area of the Alameda de Paula and beyond. 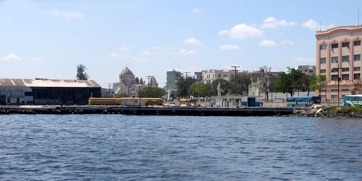 The work focused on the creation of public space along the water edge following the concept of the spine boulevard and the getting rid of the many industrial facilities located on the piers and along the waterfront that are currently blocking the views to the bay. It also dealt with the redefining of the streets sections, the increase of green space and the creation of new and varied streetscapes. 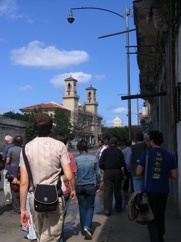 The Old Havana Sector was presented by Arch. 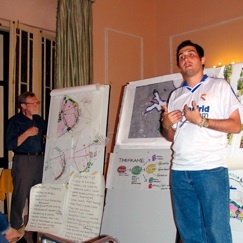 Robert Allsopp, a Canadian landscape architect who also attended an international conference on landscape architecture that was held in Havana the week before the Charrette.